Schemmer’s Pat Birch, AIA, LEED AP, was on hand for Good Samaritan Society’s Goldbeck Towers 45th Anniversary celebration that took place last Thursday, July 27, 2017. 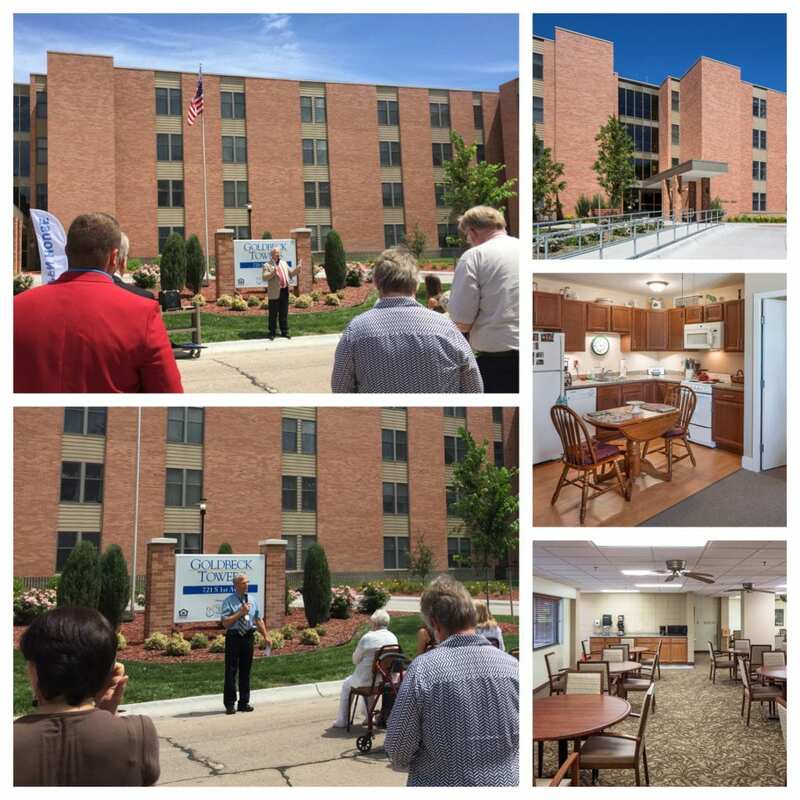 Schemmer was the architect and engineer for the 2016 renovation of the beautiful 100-unit apartment building located in Hastings, Nebraska. To learn more about the Goldbeck Towers project, click here.